Nowadays, we all pretty much have the attention span of a goldfish (we blame the internet). As creators and digital marketers know, when it comes to online content, you either have someone’s attention or you don’t. If you can’t attract someone’s in those first few valuable seconds, chances are they’ve already scrolled away. In this age of content overload, double-tapping, and endless emojis, it’s harder than ever to stand-out, but Meme Queens Lola Tash and Nicole Argiris make it look all too easy. 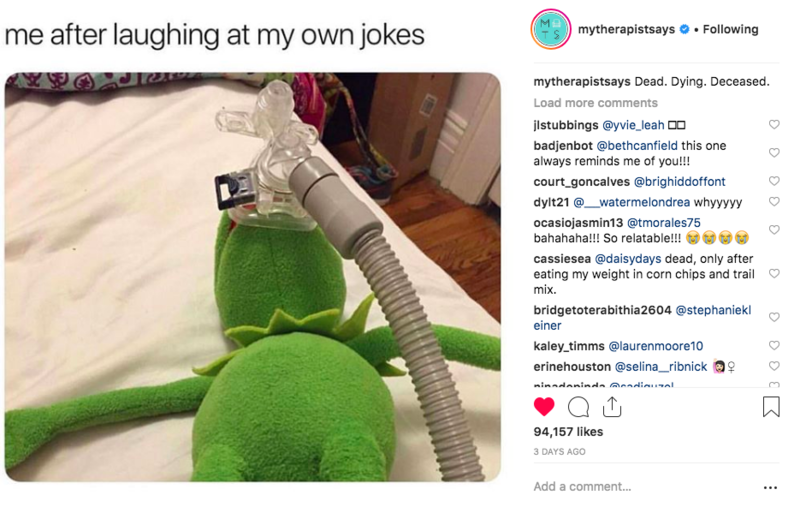 Tash and Argiris’ Instagram account, @MyTherapistSays, is home to the crème de la crème of online humour. When you read @MyTherapistSays, you can’t help but relate to their posts about catching feelings, wanting to quit your job every Monday morning and canceling those plans you knew there was no chance you were ever going to make. 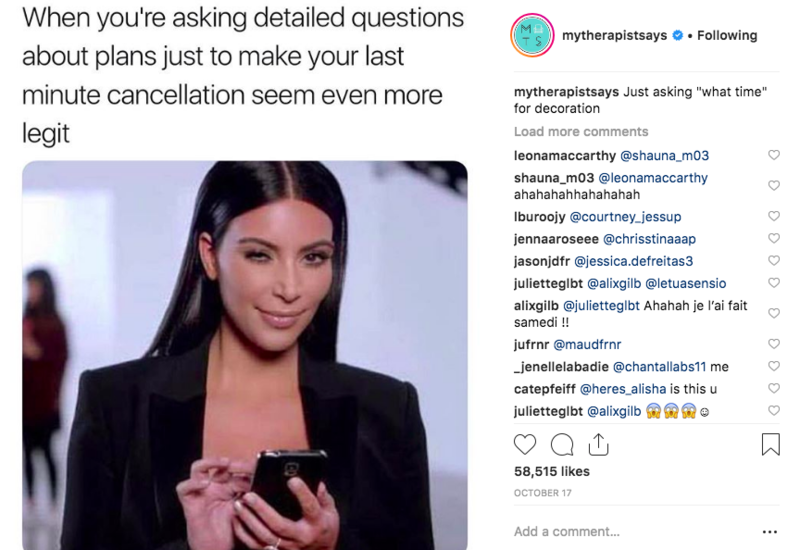 In a time where Instagram often feels like the place where you can be nothing but perfect, @MyTherapistSays’ account is the much-needed breath of fresh air. With over 3 million followers, this venture earned the pair of twenty-somethings coverage in the likes of Vogue, Elle, and Cosmopolitan. 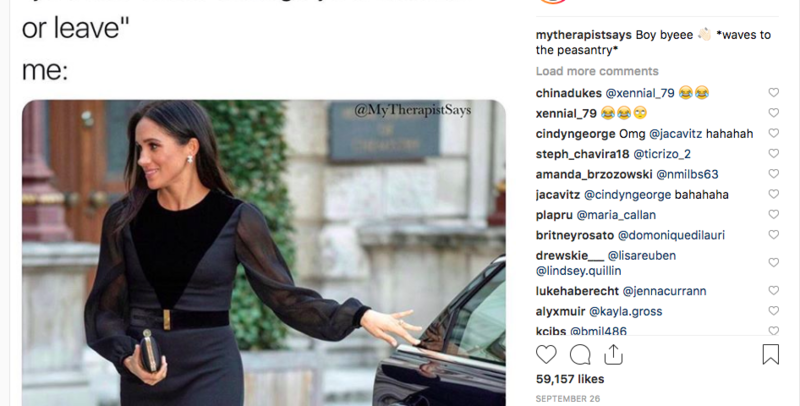 With the ever-changing landscape of consumable content on all social media channels, the ‘Meme Queens’ – Lola Tash and Nicole Argiris of @MyTherapistSays, have proven time and again that originality infused with timely and topical content is the way to go. In a world where 70 percent of posts on Instagram don’t get seen because of content overload and saturation, learn how Tash and Argiris continue to trail blaze internet humour while touching upon recent themes in social media and mental health at Social Media Week Toronto 2018.